If you like your fantasies complex and your worldbuilding done right, Twelve Kings in Sharakhai is for you. With the sprawl of a doorstopper tome jammed into less than 600 pages, Twelves Kings offers an unexpected epic fantasy with compelling characters who at first blush seem like your standard cookie-cutter characters, but quickly let you know they are nothing of the sort. Did the cover art get your attention? It sure got mine. This is one of those instances where the cover artist got the details right. That sprawling, overflowing, dusty metropolis with a towering seat of power designed to be intimidating and in your sight at all times? A young armed woman, dressed to blend in? 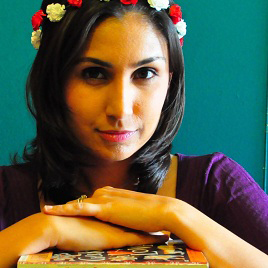 If you like what you see in that cover art, you’re going to like what you find in the pages. Sharakhai is more than just a city, it’s a center of unimaginable power. Once upon a time, the leaders of twelve tribes made an unholy contract with the desert gods, granting themselves immortality and getting an army of undead protectors thrown in for good measure. No longer tribal leaders, but immortal Kings, the Kings rule with an iron first. Their take their blood sacrifices on holy nights, and forbid the populace from questioning anything. That cover art makes me want to cosplay Çeda. Something that really drew me into Twelve Kings was the scale of the potential. Let me unpack that a little. Our story most certainly revolves around Çeda, but there is so much more happening around her that she’s not even aware of. Emre has a whole independent life away from her (and why shouldn’t he? ), her mother practically erased their past, there are international politics that may or may not have anything to do with Çeda. The story is about her, but this world that Beaulieu has created is so much larger than just one young woman’s story. And let’s talk about her story, a bit, shall we? At a very young age, Çeda learned to keep her mouth shut about what her mother did. She knew to tell no one about the Adichara petal harvests, never to breathe a word about how her mother put the petals under her tongue on sacred nights. Even speaking of the flowers could be a death sentence. It was rumored the King of Whispers heard all, and when her mother was killed for her transgressions, Çeda tried to start a new life. In Sharakhai, silence can often be your only weapon. Çeda’s mother knew that better than most. Ya’ll already know i’m a huge fan of Stephanie Saulter’s ®evolution series. She pulls no punches, allows no escape from the way she portrays the “us vs them” attitude and keeps you from looking away for even one second. If you’re looking for a political thrillers with modern relevance, you could do a lot worse than her debut novel, Gemsigns, the first in her ®evolution trilogy. 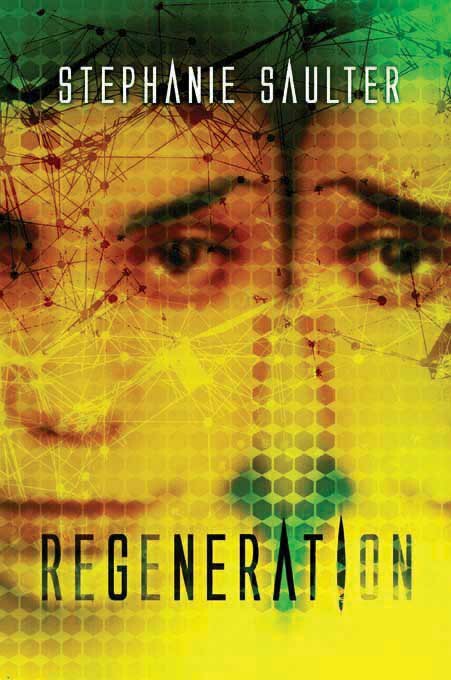 I’ve tried to keep this review spoiler free, so for those of you who are just joining us, go check out my review of Gemsigns and Binary (in fact, after reading my review of Binary, take a nice close look at the blurbs on Regeneration). Regeneration takes place about ten years after Binary, and life in London is finally halfway decent for the gem population. They’ve integrated into society, norm families are (mostly) no longer afraid to let their children go to school with Gem children, Gem-run businesses are thriving. It’s almost as if the strife of the last 50 years never happened. Almost, but not quite. The old guard doesn’t forget, and the new generation doesn’t quite understand what makes their parents so damn nervous. The first novel in the series, Gemsigns, was a political powder-keg that revolved around a civil rights movement. It was followed by Binary, in which a society at large makes it’s first attempts to break down the barriers between “us” and “them’. Regeneration is the next step in the process: Acceptance as a complete shift of the status quo, and how people react to it. This novel doesn’t focus on the politics anywhere near as much as the previous two books in the series, yet I couldn’t help but draw parallels to recent political issues that have made real life headlines. It’s scary how close these books come to reality. Interview with Bradley Beaulieu, and give away! Bradley Beaulieu, author of the Lays of Anuskaya (The Winds of Khalakovo, The Straits of Galahesh, and The Flames of Shadem Khoreh) is about to release a brand new epic fantasy novel called Twelve Kings in Sharakhai. The first in a new trilogy, Twelve Kings in Sharakhai follows the story of Çeda, a young woman who flaunts the laws of immortal kings and finds herself drawn towards the secrets of her own origins. A sprawling, complex story in a vibrant and richly drawn world, the new novel hits bookstore shelves on Sept 1st. Click here for a preview. Brad was kind enough to answer a few of my questions about the new series. Also, I’ve got not one, but two copies of this book to give away to two lucky readers! See the fine print at the bottom of this blog post for details. Little Red Reviewer: This is the second time you’ve written of ships that don’t sail on the water. In your Lays of Anuskaya trilogy, the multi-masted ships sail the winds. And in Twelve Kings, the ships sail the dunes of this desert land. It’s even possible to surf over the dunes. For this non-ocean environment, what made you decide that ships with sails should be the primary method of long distance travel? 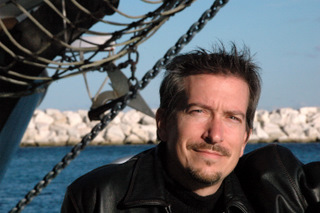 Bradley Beaulieu: What made me decide on ships? Well, when it comes down to it, I just love ‘em. I’ve taken several sailing tours on tall ships on Lake Michigan, a few out of Milwaukee harbor and once out of Navy Pier in Chicago. I think it’s such a cool time in our history, the age of sail, being trapped in such a tight community for weeks or months at a time, then stopping in a new, unexplored land, then hopping back to go back to the place you know. I’ve got a very romantic view of it, I’ll admit. 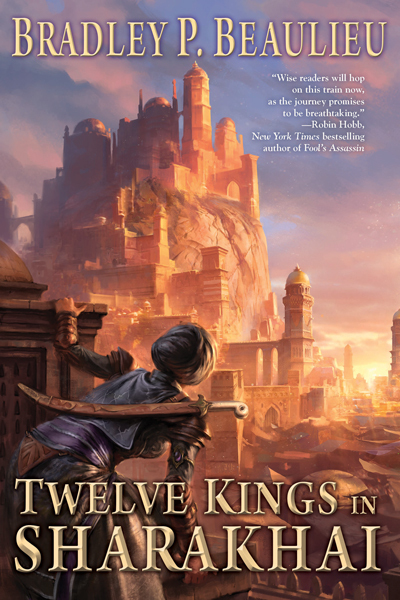 LRR: I love the world of Twelve Kings in Sharakhai. This is a desert culture, so staying protected from the sands and winds is a big deal, as is ensuring water and food supplies, and the clothing and activities of the characters reflect this. The terminology has an Arabic feel, with characters wearing turbans, thawbs, and hijabs, and visiting the bazaar. Can you tell us about the research you did the ensure the terminology and contextual activities matched the world and culture you built within the novel? A hundred pages in, and I knew The Traitor Baru Cormorant would be a game-changer. I can tell you right now this is my favorite book of 2015. I don’t even have the words to explain how this story affected me and what it did to me. If you have ever taken my advice in the past to read a book, this is the time to take it again. 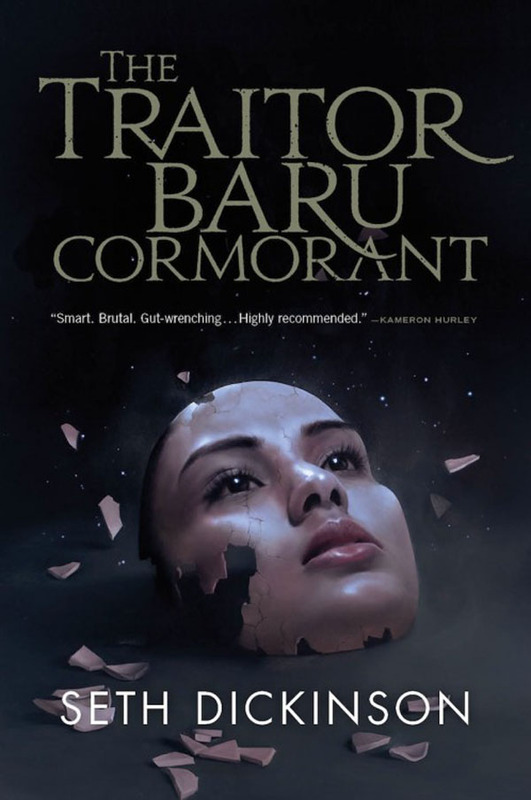 The Traitor Baru Cormorant? Read it. In this hard-to-believe-it’s-a debut novel, Dickinson responds to every single epic fantasy trope with “it’s more complicated than that”, and then he shows you why those complications are needed, and that every fantasy you’ve ever read leading up until right now has been sorely deficient in exploring complications. Culture, ambition, politics, conquest, morals, colonization, loyalty, rebellion, romance. Shouldn’t they be more complicated than your standard fantasy novel make them out to be? Yes, yes they should. Because they are. It is not words that Dickinson uses to weave Baru’s story, but scalpel sharp razor blades. As Baru says, it’s not what the Empire does to you, it’s what the Empire makes you do to yourself. No one will make you read this book, just as no one made Baru do anything. No one will make you slowly carve out your own heart and hold it still beating in your hands, looking for yourself in it’s glistening reflection, just as no one forced Baru to do the things she did (she doesn’t cut her own heart out, by the way, or at least not exactly). She made her choices, as will you. As you turn the pages, as you take Baru and her life into your own, you will do it to yourself, you will let those razors that masquerade as words cut you deep, again and again. And just like Baru, you won’t notice the pain until it’s too late. When the Empire of Masks came to Baru’s homeland of Taranoke, she was but a child. While she was attending the shiny new school opened by the empire, her family saw what was happening around them. As Baru learned all the types of punishable sins and another definition of family, her entire culture was becoming unsanitary, illegal, and unacceptable under the eye of the empire. Everything she loved, everything that made her who she was, could not exist under the new rules. Authoritarian? Sure. But the empire brought literacy, trade, new medicines, technology and protection from pirates. To be under the Empire of Masks was to be safe and protected, but also to assimilate completely, to keep children from ever knowing the culture of their parents. 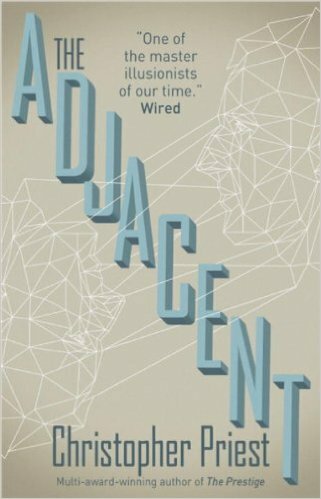 I enjoyed reading The Adjacent, and I’d be lying if I said a large portion of the book didn’t have me on the edge of my seat. But still, I can’t tell you what this book is about. That’s not because i don’t want to spoil things for you, it’s because I simply have no idea what the book was about. I borrowed this book from a friend, who described it as “a mental mind f*ck””, which is as apt a description as any. The few sentences on the back of the book mention two characters who have similar names but otherwise shouldn’t have anything in common, and a physicist who discovers a weaponizable secret. How is all this might be related is an understandable and expected question. The story opens with photographer Tibor Trent, recently returned to England after his wife Melanie was killed in the Anatolian field hospital they both worked in. This near-future England isn’t anything you or I would recognize. Much of the land is burnt to slag, the face of the ruling government isn’t what most people would expect, and Tibor is kept oddly isolated, often guarded or greeted by people who refuse to speak to him. It’s not so much post-apocalyptic as it is post shock-and-awe. Tibor is waiting for his debriefing appointment, to explain to someone the enemy weapon that killed his wife, that left nothing behind but a blackened perfect triangle. 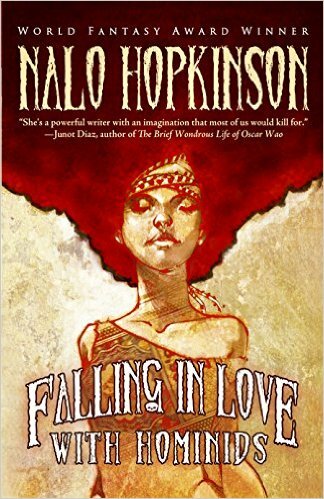 Showcasing fiction from as far back as 2002, Falling in Love With Hominids is a vast and varied collection of Nalo Hopkinson’s short fiction. 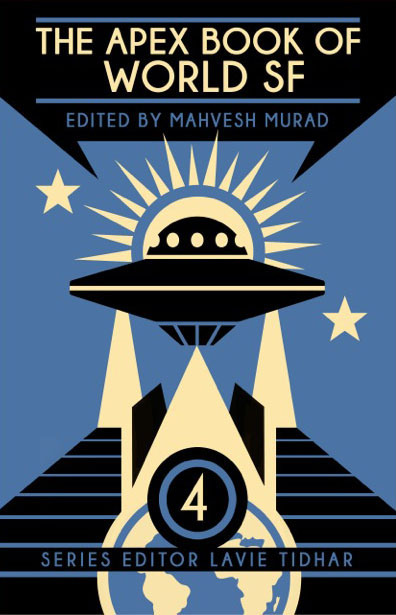 With a feeling of a retrospective art collection, the stories are everything from straight up science fiction to literary fiction to escapades of pure frolicsome imagination. For an author you’ve never read before, short fiction might be the best way to get a taste of their fiction, to see if this is someone you want to make a 300 page investment in. I also enjoy the reading freedom of single author collections. I can jump around in the table of contents, and guilt-free read the collection cover to cover in any order I please (I do this with all anthologies, actually. Even though I know editors put the TOC in a particular order for particular reasons). also? Just look at that gorgeous cover art. Just look at it! Hopkinson opens each story with a few sentences about where the idea for the story came from, and in a few cases a single sentence that acts more as a subtitle. There is a lot of literary fiction in Falling in Love with Hominids, even a Shakespeare homage. But my tastes lean towards the easier to digest, so my favorites included the imaginative flights of fancy, the flirtations with science fiction, the fairy tale retellings. And that’s probably the best thing about this collection: no matter what your particular tastes are, Hopkinson has probably written it. The flights of fancy I keep mentioning include “Emily Breakfast”, the story of a farmer with a flying cat and three fire-breathing chickens named Lunch, Dinner, and Emily Breakfast; and “Herbal”, in which an elephant suddenly appears in a woman’s high-rise apartment and when an elephant is suddenly thundering through your tiny apartment, what can you do?